I liked the bead weaving but I also felt hampered by the restrictions in design. I am used to being able to do whatever I want when stitching. 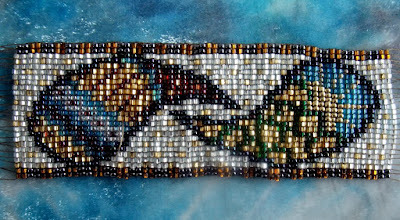 With beads you are confined to squares of color and so it really restricts the flow of your design. Also the beads must all be the same size. 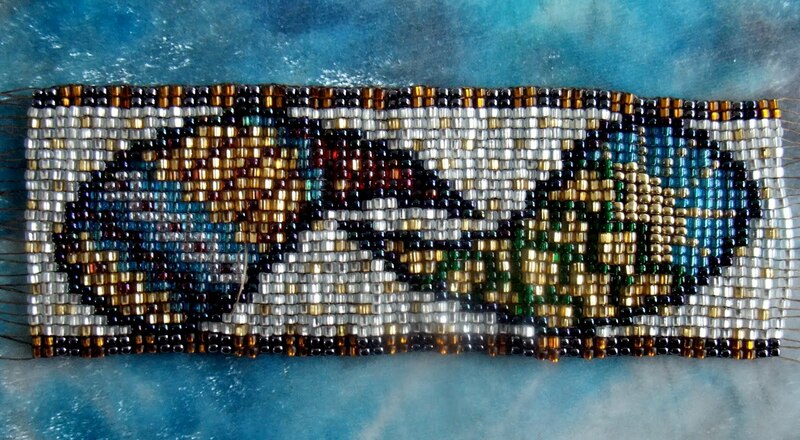 Even though I used good Japanese seed beads(miyuki and toho) the different colors varied in width and caused the design to ripple. I do like the bead weaving but I don't think I like it as much as the wire wrapping. 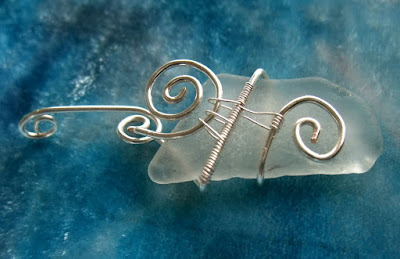 I want to also introduce you to my website www.beadsbeadingbeaded.com and my blog site www.beadsbeadingbeaded.blogspot.com. There, I hope to give you an argument over your thoughts that weaving on a loom is very restrictive!